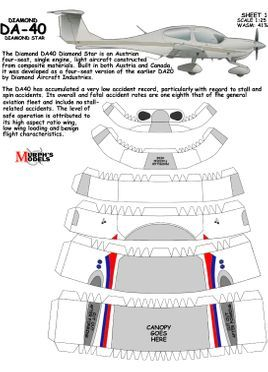 The DA40 has accumulated a very low accident record, particularly with regard to stall and spin accidents. 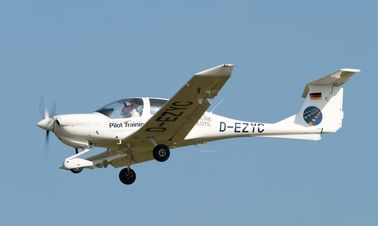 Its overall and fatal accident rates are one-eighth that of the general aviation fleet and include no stall-related accidents. 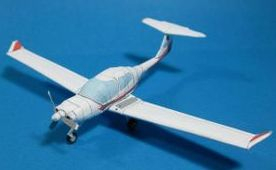 The level of safe operation is attributed to its high aspect ratio wing, low wing loading and benign flight characteristics. 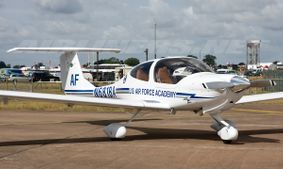 The aircraft can be trimmed full nose up, engine set to idle and it will descend at 600–1200 feet per minute at 48 kn hands-off, a lower rate of descent than the competitor Cirrus SR22 can achieve with its airframe ballistic parachute deployed.